I love it when you’re with a group of friends, and you venture forward and express your thoughts on a subject, maybe a little concerned that it might not be taken well, and learn that your friends feel the same way you do, that they have the same concerns you have, that they share your worldview. It’s such an overwhelming sense of acceptance and welcome to know that we’re understood. I felt that way reading comment after comment responding to my question, “When do sewing blogs make you feel empowered?” Now, in fairness, I only got to read the folks who actually commented, and not the ones who didn’t, so there might be some selective bias in the data, but I was repeatedly impressed that the voices who took part in the discussion indicated that they really craved connection, that they appreciated seeing one another’s flaws as well as successes, and that they yearn to be noticed and to have their contributions recognized. That doesn’t sound like “just sewing” to me–that sounds an awful lot like Real Life. Reading over what so many of you had to say, and the instances when you’d felt smaller or undermined or insecure about what you saw online as you surfed through this new world of sewing we’re building for ourselves, it’s come to make me think that most of what we’re feeling comes from US, not from the bloggers we’re reading. That if we’re feeling sad or small or lessened or intimidated or incapable or insufficient, that it’s what we bring with us that makes us feel that way. In a similar vein, if we’re negative or say unkind things, that’s from inside us, too. It’s always a tough lesson to learn, that really throughout our lives the words from our mouths are truly the overflow of our hearts, and that try as we might, humans just aren’t built to mask their emotions. Emotion is how we connect to one another, and connection seems to be what we–you and me and all the folks who left comments–crave consistently. When asked our opinion it’s those emotions that come out. My fear has been that as more and more folks discover this little community, that we’ll lose some of the lovingness that makes it so great. It’s so easy to come to the table with whatever is inside us right at that moment and spill it–and to forget that there is another person on the end of that comment, and not always the blogger whose blog you’re visiting. Sometimes it’s the commenter I didn’t write back, who was reaching out and didn’t get heard. Sometimes it’s person whose idea you pooped on who labored over something she really hoped you’d love. Sometimes it’s the quilter who wanted to explore boundaries and try something new to her, and your reaction wasn’t what she’d hoped. Sometimes it’s someone who’s brand-new to the game who isn’t as good yet as she would like to be–or as good as you already are. Maybe more relevant, sometimes when we walk away from the computer and feel sad or derailed or disappointed in the level of our own work or in our skill or in our personal prolificness (is that a word?) when compared to someone else, it’s easy to think that it’s the result of the person on the other end who does seem skilled and prolific and do-it-all-y (also not really a word). Even if she doesn’t know us or intend for us to feel that way, even if it really does come crazy easy to her and she never even thinks about it. Like a figure skater who doesn’t just make it look easy–it really is easy because that’s who she is and what she’s here to do. She doesn’t want us to feel like cellulitic losers who really ought to get off the sofa–I want to feel inspired and spin about the room, too–but sometimes it seems like such a long way to go and it’s easier not to take that first step. And the ice cream is so creamy and sweet. It’s what we bring to the table that makes us react the way we do. And a lot of that is about our own expectations. I loved reading an email from Erin, who pointed out that lurkers aren’t necessarily non-doers, but really just folks who have reached a certain point in their journey. I loved that characterization, that acknowledgement that we all start somewhere. My sweet husband, bless him, has more than once told me he can’t do something–to which I have always replied, “That’s silly. You’re only saying that because you haven’t done it yet.” We say it to our kids and our co-workers, why aren’t we willing to say it to ourselves? We’re just so hard on ourselves, y’all! What’s up with that? Maybe you’re not a non-sewer. Y’know? Maybe you’re a PRE-sewer. Maybe you haven’t done it yet because you haven’t gotten that far. Maybe it’s better for all of us–our whole community–if we start thinking less about what we can’t do, us as individuals, and more about the excitement ahead. When I taught school, I was always amazed by kids who didn’t like to read. I met one who said going into a library made him freeze with dread, because it was like seeing a list of all the things he’d never know. I was rocked to my core by that–because to me, a library is a feast and I was only ever scared I wouldn’t have enough time to get to it all. I couldn’t wait to dive in and roll around in the yummy smell and the soft words and the smooth pages of knowledge and adventure that I found there. What different eyes, both looking at the same thing. I want to bring my very best to the table. I want to bring hope and excitement and generosity and anticipation to every project I sew. I want to react with appreciation and respect and new inspiration to what I see getting sewn by others out there these days–there is some amazing stuff out there, and not all because it’s so perfect, but because of who is making it and under what circumstances. Sometimes it’s not the product, it’s the process. Now, I want to go on record: I’m all for making things as well as you can, and work to make my own sewing as beautifully as I’m able–I love me some matching seams and straight hems–and I think we ought to all strive to do the very best work we can at any given time; but I don’t want that quest for perfection to be the price of admission just to get in the door. Because it’s super clear to me that most all of us crave and value the kindnes we find amongst other sewers, that the openness and welcome we find here is exactly what keeps bringing us back again and again. This is my happy place, and I hope that as I express my ideas and celebrate successes and work through being bummed out when things explode in my face that I will do it with grace. Because I’m not super great at making friends. It’s hard for me, now that I’m not in school anymore and I don’t see the same people every day and I’m in a big city and everyone’s got somewhere to be. Its hard to make friends. It’s hard to connect. And connecting is the heart of who we are, no matter where we are. Man, I just wanna hang out with people and get inspired and have some time to do something that makes me feel good and happy, y’know? Because there aren’t that many chances in our world to feel happy and do good at the same time, and this is one. I’d like to not blow it. I don’t need to change the world, but I do want to change me, and I think that starts by asking myself who I am when I get to the table, and watching as that person grows a little and gives a little and tries a little and sees the fruits of her labor in her hands. 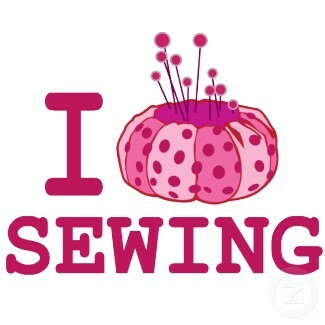 It’s what I love most about sewing: if you make a mistake, you see it, and you make it right. It’s tangible and immediate and it reaches ahead to the person you’re sewing for and back to the person who taught you, on and on and on in a chain of connectedness. Sometimes we don’t even know how we’re conencted, but we are, and that gives me so much hope and such a deep sense of rightness. If we’re all here for the same thing, let’s not make it too complicated, OK? Let’s be fair and open and honest, and also be kind and thoughtful and loving. It’s possible to be both honest and kind. Let’s do that. Because I think we’ve already said the most important thing: we just want to make friends, dude. Let’s bring that to the table. Thanks to every one of you who took the time to comment. It was really cool to read your words and see thoughts bubble up as a result. I think after today, I’m done philosophizing for a bit–I’m just ready to do some sewing. Maybe you are, too? Let’s go get happy at our machines, y’all. Have a great, inspiring, delicious, friend-filled weekend. I love the community too. And I’m a lurker here because what is done here is awesome- but the ideas brew and I love hearing what you have to say and how you encourage the online community, and how I’m sure Whipstitch encourages the in-real-life community… so thank you! I love your post. Makes me want to be your friend. I think you have a gift with words and I completely agree with your philosophy. You hit the nail right on the head. I just love this! Including all the comments! I think a lot of us turn to the computer to build a community. I know I have some great friends that I’ve never net in real life, but that doesn’t mean that they’re any less my friends than the people I have met, it just means that we don’t get to have girls night out! Thank you for letting us (your readers) get to know you! Thanks for externalizing all that I’ve had floating around my head for a while – in such a neat and concise way. Oh and by the way your mention of ice cream makes me want to have some now. This post really touched me. Fabulously written. So often I hear, I can’t sew – or I could never do that, and it always just breaks my heart. I want to encourage people – yes you can! We have a saying in our house from Yo Gabba Gabba (of all places, I know) – keep trying, keep trying, don’t give up, never give up. Silly as it may seem in that sing songy voice, I love that we are teaching it to our kids. I don’t know many people that are great at something over night – even that skater. It took years and years of practice, of not throwing in the towel when she landed on her bum trying to make that perfect spin – or for us, the perfect hem, before she was able to get to the point she is at now. I connect with you because I am a self-taught sewer, like you, learning pattern after pattern. And for many years I hated my end results, not thinking they were good enough. But for some God given reason, I persisted, and am finally making clothes that I want to put my children in and let them wear around! Not only that, but I want to teach others, and for them to have the same confidence and ability to do so. It is such a wonderful feeling of accomplishment, something I am so happy to have been able to learn, and something I know so many more people can do if they just tried. Thank you for the inspiring words, they were a great start to the morning. Yes! Let’s get back to sewing. Weeee! This is my first time ever coming across your blog. I read this and actually began tearing up. HA! I’m a stay at home mom of two little ones, 2yrs old and 4months old, and very new to the blogging community. I lurked for a long time on other blogs, and tried my hand at sewing many of the creations I came across, some were beautiful, some were epic fails. lol But I was always just a little afraid to actually, have my OWN blog and it was for the silly little reason of acceptance. As you stated, I crave it like all of us and at this moment in time, I don’t have many people around me who find sewing that amazing. My hubby is my biggest fan, so I NEEDED an outlet but I am/was so nervous about getting to know the community cause I was so unsure of how I would even fit in. You made me so confident, excited,…ummm, HAPPY in knowing that this little community is so just that. Accepting. Thank you!